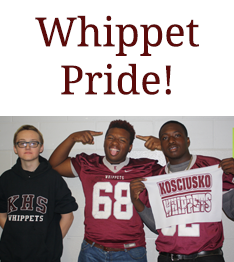 At Kosciusko, we take great pride in the excellent array of extracurricular activities available to our students. From sports to math and science clubs or our award-winning marching band, there’s something for everyone. We welcome you to browse the pages below to learn more about these organizations.